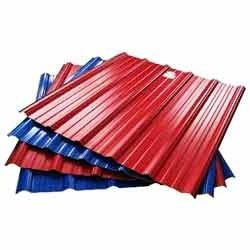 Manufacturer of a wide range of products which include trapezoidal profile roofing sheet and coated trapezoidal profile sheet. Backed by a rich industry experience, we are engaged offering optimum quality Trapezoidal Profile Roofing Sheet. 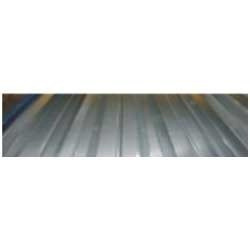 The profile-roofing sheet is well known in the market for its quality. Our professionals take care of existing standards of market before manufacturing this profile-roofing sheet. For manufacturing, we use only advance technology & quality assured material. In addition, the basic material used for the manufacturing process is examined on various quality measures in order to assure about their flawlessness. Assisted by a team of our professionals, we are involved in manufacturing, exporting, trading, and supplying an effective range of Coated Trapezoidal Profile Sheet. This profile sheet is fabricated by using quality assured basic material and advance technology at our manufacturing unit, this profile sheet is made in accordance with predefined industry norms. Our offered profile sheet can be accessible by customers in modified options at most reasonable price range. Looking for Trapezoidal Profile Roofing Sheet ?